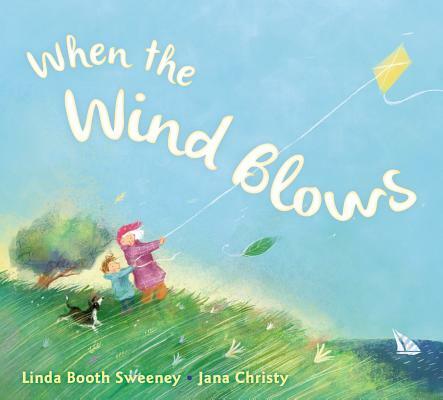 Linda Booth Sweeney wrote this book after nearly floating away in a windstorm while on a walk with her then-toddler son. They both thought it was hilarious and have enjoyed wild and woolly storms ever since. Linda is the author of three nonfiction books: The Systems Thinking Playbook, When a Butterfly Sneezes, and Connected Wisdom. This is her first children’s book. Linda lives near Boston with her husband, three children, Rugby the dog, Boo the parakeet, Cinnamon Bun the rabbit, and a gecko named Gregg. Jana Christy did much of the art for this book during hurricane-force winds on a small island off the coast of Nova Scotia—flags flapped and walls shook in a house that looks remarkably like the house in this story. She loves drawing girls with attitude, boys with pluck, the chickens that wander around her garden, punks, robots, cavemen and zombies, bleak weather, windy days, sea creatures, and more. She loves creating handmade minibooks with her husband, exploring new places with her children, and letting her brain and brushes wander. She lives in North Adams, Massachusetts.